The iconic Swan chair was originally designed in 1958 by Danish architect Arne Jacobsen. Since then, this cult design has decorated the lobbies of luxury hotels, fashionable nightspots and designer homes all over the globe. 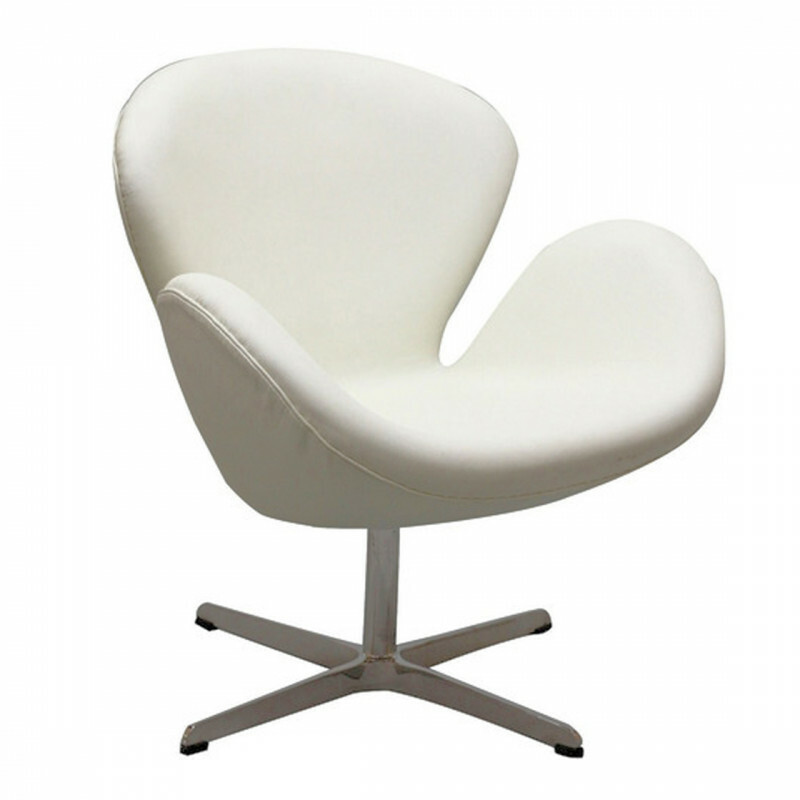 Our replica white leather Swan chair is undeniably a statement piece of furniture! With its curved silhouette and contrasting 4 star metal base it’s a modern choice for your event and exhibitions. Available in fabric and leather and in a range of 7 colours this über cool design will create a funky yet contemporary style at your events. Tip: The Swan is a fabulous alternative to the standard conference chair.